so i am your typical girl when it comes to shoes and bags. i loooouuuurve them, especially big and colorful ones like this one i'm rocking around town. the pop of magenta pink makes my eyes go ga-ga and the number of pockets that line it would make any neat freak...well, freak! and my favorite part? amykathryn's My Bag is Her Bag program where they support women in poverty around the globe by teaching them the trade of making handbags on their own! in purchasing their clutches and bags, you support these incredible women and their families. amykathryn a designer handbag brand that mixes animal-friendly faux leathers and organic cotton canvas. Each season features a beautiful new custom print design on the cotton canvas. Designer Amy Hall is inspired by nature, her travels around the globe and all kinds of art, old & new. Fans love her bags because they are colorful, unique, and always very functional & stylish. amykathryn recently started My Bag Is Her Bag, in which women around the world are supported and empowered by making handbags for the amykathryn line. and today my friends at amykathryn are offering one of you incredibly lucky Much Love, illy readers $50 shop credit to amykathryn! talk about the possibilities with that! put it towards this gorgeous clutch or the rose magenta carry-all tote like mine! and these grocery tote bags are the absolute cutest! seriously anything you pick is a win-win-win (in the words of Michael Scott). visit the amykathryn shop and tell me what you would spend the shop credit on if you win! use code MUCHLOVE20 for 20% off (yowza!) of your entire amykathryn order (valid thru the end of giveaway)! Giveaway is open to ALL Much Love, illy readers thru June 20th. Winner will be announced on June 21st. I liked https://www.facebook.com/pages/Amykathryn-Handbags/ on facebook! Oh my gosh. I love the Wisteria Mauve bag! i'd use my credit towards the Wisteria bag in Taupe! following your lovely blog of course! I liked amykathryn on Facebook! what a cool company!! i love the poppy apricot bag! Sharing the love through Tumblr! Thx again and have a wonderful night! LOVE these bags! I think my favorite is the Wisteria in navy. I follow amykathryn via Bloglovin'. I like the amykathryn FB page. Liked Amykathryn Handbags on FB! Already followed you but now followed Amykathryn Handbags via twitter! I love the Wisteria Cream bag! Thanks! I follow her blog via bloglovin. i would LOVE the grocery tote or the daisy multi clutch! i follow you- great giveaway! Beautiful! I would pick the Wisteria Mauve! i follow amy kathryn on bloglovin'! love her stuff! i'd definitely spend my credit on the daisy mustard clutch. The daily mustard clutch is gorgeous! i think i'm feeling the daisy forest clutch. :) maybe even as a gift for my wonderful sister-in-law. i'm a GFC follower of much love, illy. I adore the Camellia Olive bag! nikkiana at gmail dot com. I would totally use my shop credit on one of the grocery totes! They are so very cute and convenient. would love to put it towards the Lily Lilac bag! I love the Wisteria Cream Clutch & Messenger Bag! Oh my goodness, love the bags so much! I would spend the shop credit on the Daisy Turquoise Clutch. I liked the amykathryn Facebook page. I love the Wisteria Taupe Clutch & Messenger Bag in One! I would choose the Daisy Green clutch. I am a public GFC follower of much love. I like amykathryn on facebook. Wow amazing bags... I love the wisteria bag in either navy or cream. I follow your blog... of course!! I would totally LOVE the 'Daisy Turquoise' clutch! 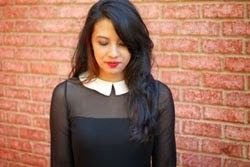 I blogged about your sweet giveaway! I would love the Wisteria Taupe Clutch & Messenger Bag in One. Love the Daisy Forest Clutch! What a great idea and such great bags! I love the Daisy clutches, especially the Daisy Turquoise! I am also a GFC follower of your blog! LOVE! and the rose magenta is totally the one i'd go after! I would definitely get the rose magenta! I love, love it! I follow amykathryn on bloglovin! I "like" amykathryn on FB! I follow @amykathrynbags on twitter! 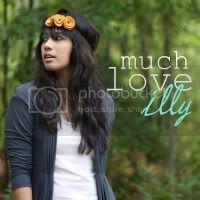 I follow @muchloveilly on twitter! I would get the Tuberose Bronze shoulder bag - love it! Either the Daisy Tiles clutch or the Wisteria Mauve. Love the bags. I love the Rose Bronze bag. I subscribe to the Amy Kathryn blog. I like Amy Kathryn's FB page. I am a public follower of this blog! I follow @muchloveilly & @amykathryn on twitter! Ooh the tuberose bronze bag is SO pretty! I follow Much Love, Illy via GFC. So many choices!!! I love the Daisy Tiles clutch, and the grocery totes (obviously) and the Lilly Apricot carry all! Ooh I love the Poppy Apricot bag! So pretty! the daisy gray clutches have such a cool pattern! I would buy her Daisy Maroon clutch! I LOVE the Daisy Tiles clutch! Oh I would love love to get this clutch/messenger bag in Taupe! So so cute! LOVE her bags! The rose/bronze carryall tote is my favorite. I like AmyKathryn on FB! I follow amykathryn via bloglovin. I like amykathryn on Facebook - Cindy A.